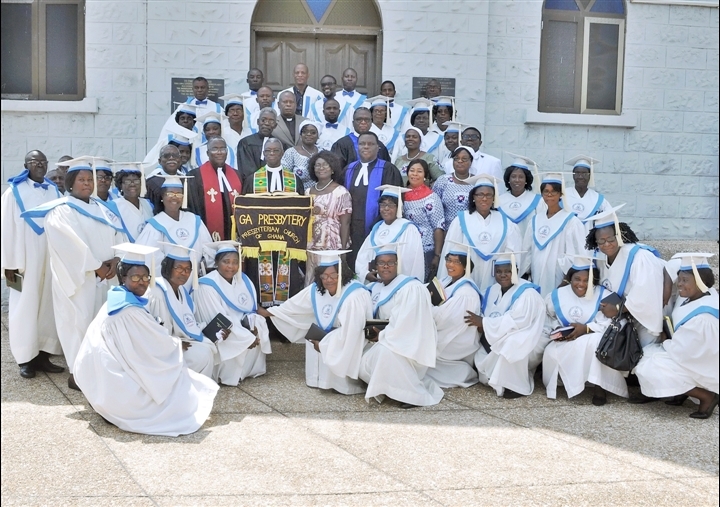 Seventeen Ministerial Probationers from the Ga, Ga West and Western Presbyteries who have gone through two years of probation and have been recommended by their districts, through the Presbyteries have been ordained into full ministry of the PCG at the Kaneshie Congregation in the Ga West Presbytery. The event was officiated by the Acting Moderator of the General Assembly of the PCG, Rev. 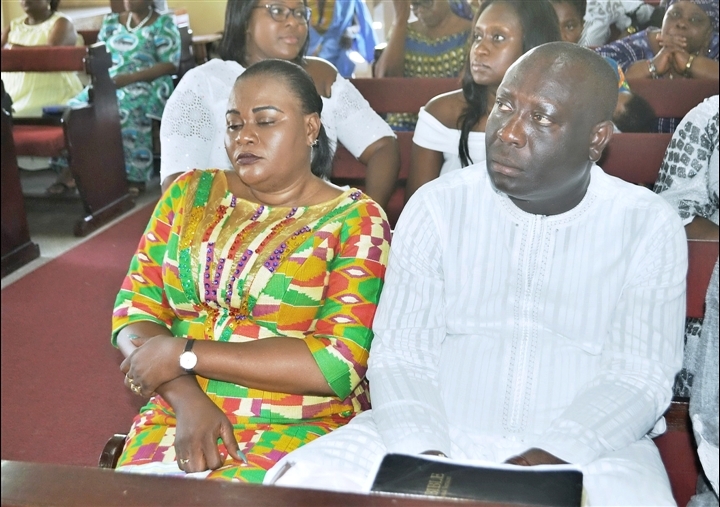 Dr. Victor Okoe Abbey and assisted by the Clerk, Rev. Dr. Samuel Ayete-Nyampong under the theme, “Sow Seeds of Faith”. Rev. Dr. Abbey, in a sermon, urged the congregation to go out and do personal evangelism and encourage people with their lifestyle and attitude. He said every Christian has been strategically placed at their various positions, whether a teacher, nurse, doctor, lawyer, journalist, judge and more to sow seeds of the word of God and draw people to the love of God with their attitude and lifestyle. “You are not a Christian by accident. God has selected you with the agenda to go out and make disciples at home, work, school, market, hospital etc.”, he said. He urged the newly Ordained Ministers not to follow the steps of some of the current Ministers who are pursuing their own agenda but go out and share the word of the God who called them. “God and the Presbyterian Church of Ghana have not called you to follow your own agenda, therefore, if you do so then you have missed your call. Take your Bibles, read them and follow its instructions. Everywhere you go remember your agenda and follow it so that God will bless you”, he added. Rev. 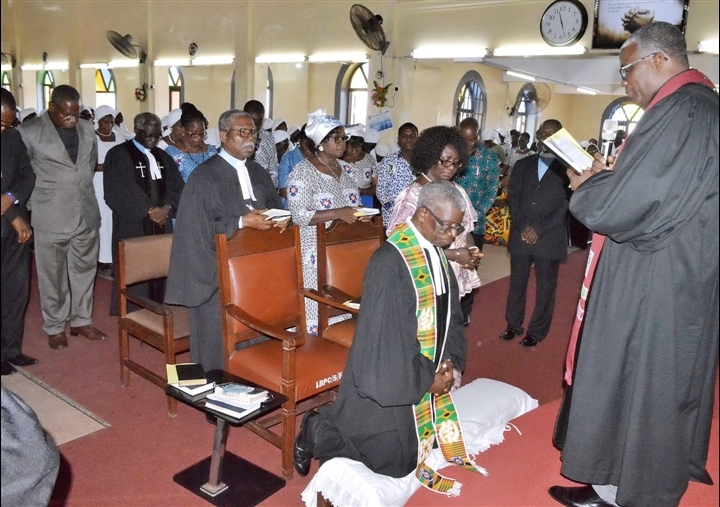 Amoako Nyarko advised the ordinands to be careful to preach nothing but the pure word for God and avoid the wrong and strange doctrine adding they should hold fast the word to obtain the grace of God. Rev. Dr. Richard Osei-Amponsah, on behalf of the Ordinands expressed gratitude to God for his blessings and protection through the years of their Ministerial Training. 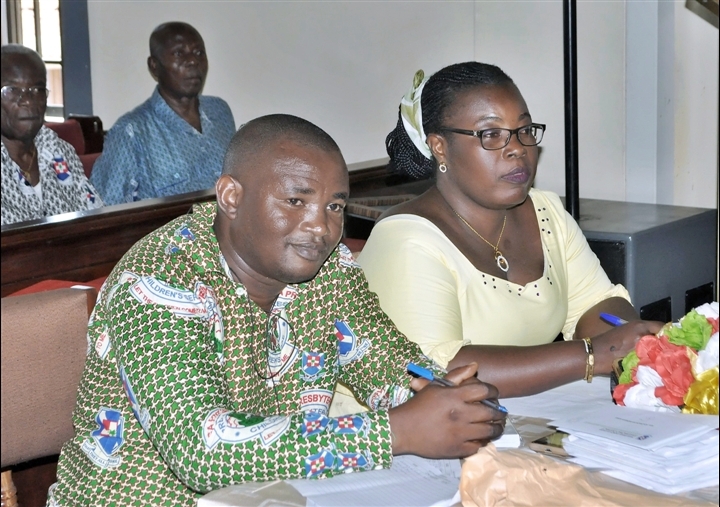 He also thanked the Presbyterian Church of Ghana especially the General Assembly Council, the Ga, Ga West and Western Presbyteries and the various Districts who facilitated their training programs and processes. He requested that they have been ordained with huge responsibility to help correct negative influences in the society today, such as disobedience, nepotism, greed, corruption, unfaithfulness, murder, upsurge of false prophets, uncommitted and artificial Christianity among others through the preaching of the true word of God, effective bible teachings and training. They prayed for the church to remember them in prayers, support them in ministry and correct them whenever they go wrong. 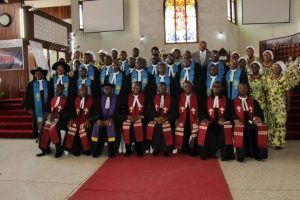 The 17 Ordinands are Rev. Samuel Adico, Rev. Comfort Leticia Adjei-Yeboah, Rev. Frank Al;a Adjetey, Rev. William Kodjo Ameka, Rev. 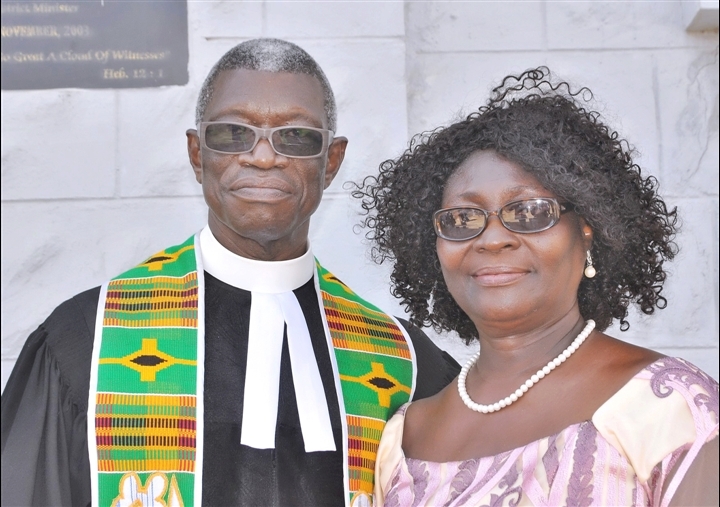 Lydia Annorwaa, Rev. Cpl Samuel Antwi, Rev. John Tetteh Apodei, Rev. Capt. Rtd. Emmanuel Darko, Rev. Bright Darkwa, Rev. Masoperh Kwei, Rev. Andrews Gyan Okyere, Rev. Richard Osei-Amponsah, Rev. Martin Owusu, Rev. Benjamin Nii Ananag Quartey, Rev. Joshua Sackey, Rev. Enoch Ohene Sarpong and Rev. Emmanuel Wiafe-Asiama. 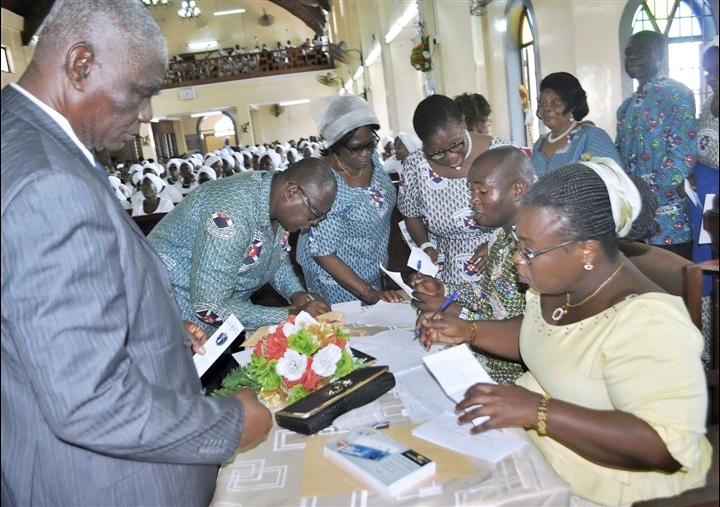 They each received certificate and letter of ordination from the General Assembly office as well as special gifts from the Kaneshie District.